WASHINGTON — A U.S. Army veteran and another American citizen were killed on Monday while fighting in ISIS' de facto capital of Raqqa with the People’s Protection Unit, or YPG. Officials at the U.S. State Department confirmed to Military Times reports of the deaths of at least one American. The deaths bring the number to nine U.S. citizens killed in northern Syria in the fight against ISIS, and the second U.S. military veteran. The deaths of the American volunteers underscore the importance of foreign fighters assisting Kurdish militants as they battle to liberate the countryside from ISIS. Former Army Sgt. Nicholas Warden, 29, from Buffalo, New York, and Robert Grodt, 29, from California, were killed in a suspected improvised explosive device blast on July 5, according to YPG fighters on the ground in Raqqa. Warden was a U.S. Army combat veteran and infantryman, having served four years and nine months with the 101st Airborne Division from March 2007 until November 2011, according to his father, Mark Warden. 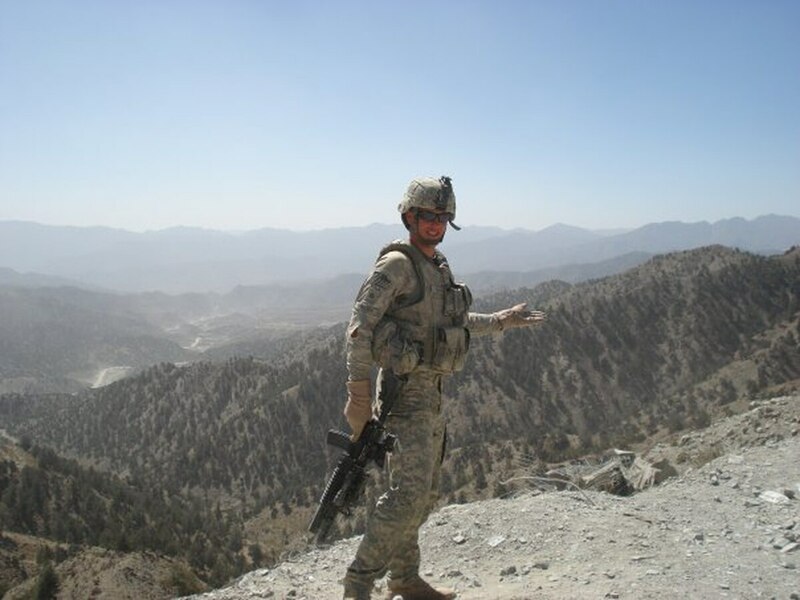 He served two tours in Afghanistan including a stint during the Obama administration's troops surge from August 2010 until August 2011, according to his releasable service records provided to Military Times by the U.S. Army. Warden reached the rank of sergeant during his nearly five years of service. Warden wanted to go into Special Forces, but because of a fainting disorder listed on his medical record when he was a child, he was never able to complete airborne training. He left the Army for the French Foreign Legion, where he served for five years and completed nearly 49 airborne jumps, his father told Military Times. Shortly after his stint with the French Foreign Legion, Warden packed his bags for Syria to take on ISIS. According to the YPG, he entered service with the Kurdish fighters in February of this year. Warden was killed while helping America’s partner force liberate the de facto ISIS capital, where fighting against desperate ISIS fighters besieged in the city has turned into a bloody street-by-street battle. They’ve had three years to prepare to defend the city and "resistance is stiffening," said Lt. Gen. Stephen Townsend, the commanding general for Operation Inherent Resolve. With the liberation of Mosul on Monday, the campaign to liberate Raqqa is now the coalition’s priority, Townsend explained. That means they will likely get more ISR, resources and strike assets, he said. Albert Avery Harrington, a Marine Corps veteran, was the first U.S. service member to die fighting with the YPG. He was killed in the Syrian city of Manbij earlier this year from a bomb explosion, according to a YPG press release. The North American Kurdish Alliance, a non-profit organization dedicated to Kurdish causes, plans to hold a welcome ceremony for when the remains of the two American YPG volunteers arrive.